How often have you gone on a trip only to discover that you forgot something. Or gone to the supermarket only to realize that you forgot your shopping list? 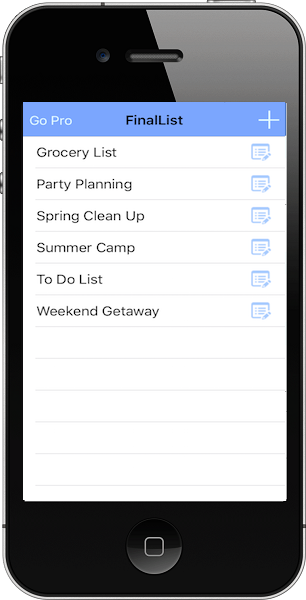 • Create packing lists, grocery lists, party lists, daily chore lists, etc. FinalList is a very simple way to organize yourself by using checklists. With the Pro Version you get the ability to manage unlimited lists and items, download pre-defined lists for travel, camping, sleepovers and more. Should you rather manage a paper list, FinalList provides the ability to print your lists.